Anticipation is a crucial work for Saar, as she began to experiment with layering and textures, elements that would characterize her later work with assemblage. 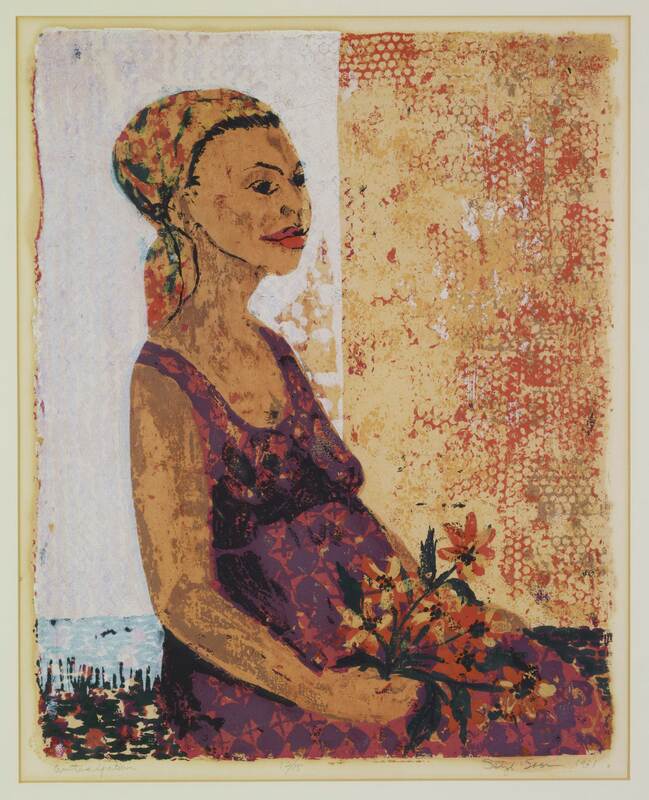 The print portrays a pregnant woman, perhaps Saar herself, meditating. This reflective state seems to presage the artist’s move away from representational work and into more mystical and symbolic iconography. "Anticipation." Now Dig This! Art in Black Los Angeles, 1960–1980 Digital Archive. Los Angeles: Hammer Museum, 2016. https://hammer.ucla.edu/now-dig-this/art/anticipation.